Konstantinos is specialised in the area of Dispute Resolution. 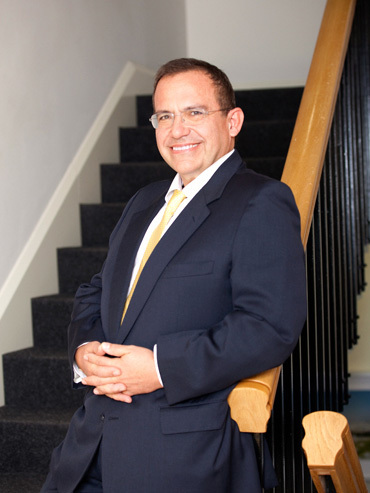 He has represented clients in a wide variety of commercial and civil disputes, including those arising from breach of the regulations governing a range of industries, including banking, pharmaceutical, medicinal products and transport. Konstantinos has a particular expertise in advising on agency and distribution agreements. He acts in disputes arising from the governance of corporations and the relationship between shareholders, as well as litigation resulting from internal restructurings, liquidations and insolvency. 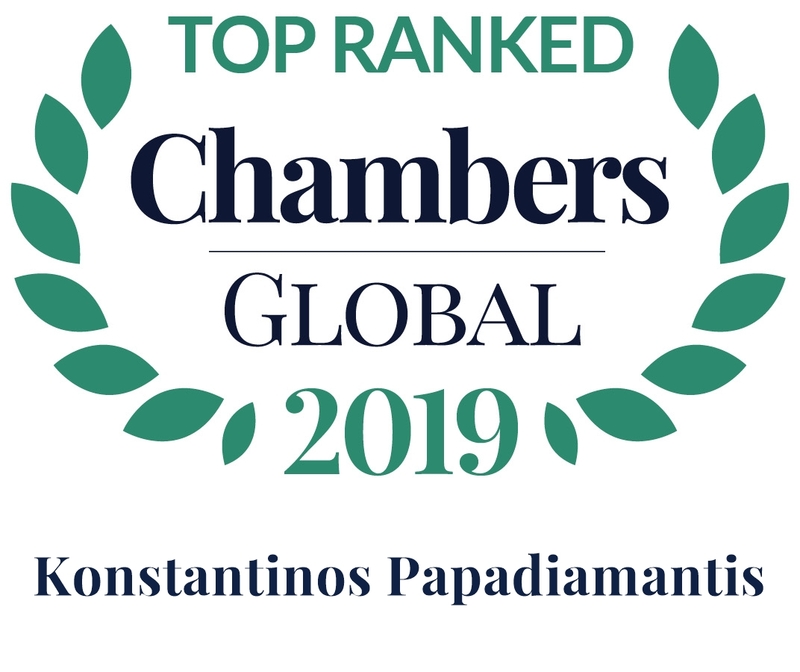 Konstantinos advises on the violation of intellectual and industrial property rights and has also represented clients before the Competition Commission. He has extensive experience in credit recovery and has acted in a number of arbitrations, mainly resulting from breach of commercial transactions, and participated in the one of the first mediations to be run under the rules of the Greek Association for Maritime Arbitration. 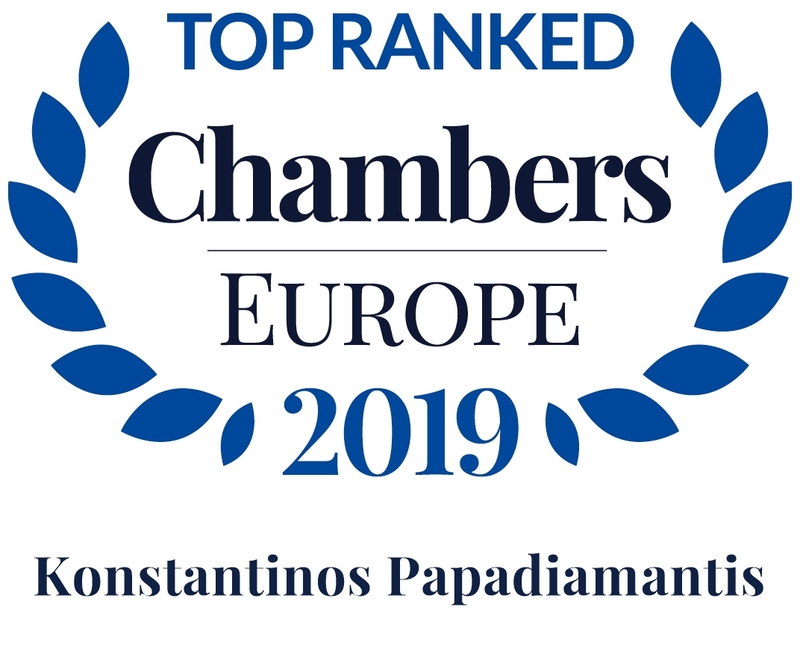 Konstantinos also has a significant experience in representing clients before the Greek Supreme Court and in advising on white collar crime, in particular acting on behalf of companies and individuals in the field of breach of banking and stock exchange regulations. Konstantinos served as an independent non-executive director of Emporiki Bank – Credit Agricole Group from September 2008 to January 2013. Konstantinos Papadiamantis and team advised a Greek bank in arbitration proceedings to set aside the award relating to a dispute with a joint venture partner in the credit card business. Konstantinos Papadiamantis and team successfully represented a bank before the Supreme Court in their application to overturn an award of €30m by the Athens Court of Appeal. Konstantinos Papadiamantis led a team representing board members of a Greek bank, including the CEO, in their defence against criminal charges for breach of fiduciary duties. Konstantinos Papadiamantis and team successfully defended the administrators of a company charged with criminal liability for abuse of dominant position further to a decision by the Greek Competition Commission. "comfortably deal with both litigation and negotiations, as he is settlement-oriented and a fierce litigator."